Pakistan is the leading Marble, Onyx, Granite and sandstone processing and exporting country. It has enormous wealth of marble, re-crystallised lime stone, fossil-ferrous limestone, dolomite and granite. Pakistan has more than 300 billion tons of estimated reserves of Marble and Onyx in Mohmand Agency, Chitral, Bunar, Swat, Parachinar, Gilgit, Hunza, Swabi, Bajour, Mardan, Waziirstan, Azad Kashmir, Lasbela, Chagai and Khuzdar. Pakistani Marble comes in White, Green, Pink, Grey, Brown and Yellow colours. It is estimated that Pakistan has also more than 1000 billion tons of Granite reserves in Black, Pink, Grey, Green, Gold, Yellow and Red located in Gilgit, Dir, Chitral, Swabi, Kohistan, Nagarparker, Chagai, Mansehra, Malakand and Swat. Nagarparker (Sindh) and Mansehra (Khyber Pukhtoonkhwa) are known sources of workable Granite in the country. Geology evidence shows Gilgit Region holds great promise of the superior quality deposits. 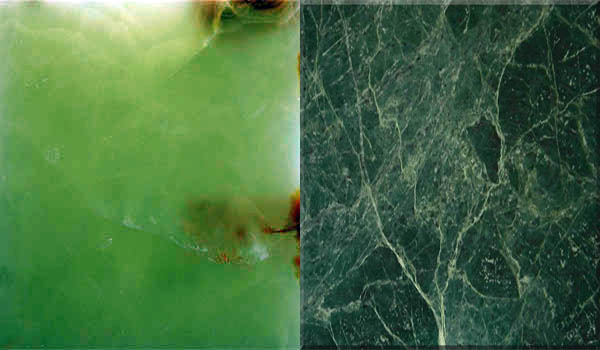 Due to the continued efforts for utmost quality achievement, Pakistan has become a leading supplier of onyx tiles, mosaics, sinks, tubs, slabs, vanities, and custom products specializing in Dark green onyx, Green onyx, Light green onyx, White onyx, multi green onyx, red onyx, brown/golden onyx to the world market. Natural stones of Pakistan are acknowledged worldwide as best in quality, variety and colour. In Pakistan, Marble, Sand Stone and Onyx are found in exclusive colours and shades which are non- existent in other regions of the world. Pakistan is using the most modern techniques for producing and processing marble, sand stones and onyx, which has resulted in improved quality and Pakistani products are fast acclaiming appreciation in the world market. Pakistan is able to export directly to the greatest world-wide markets, like United States, Canada, Central America, Middle East, Asia, Europe keeping on competitive prices at the best quality and Pakistani products are getting fame amongst architects and builders worldwide as they give more artistic looks to the buildings.